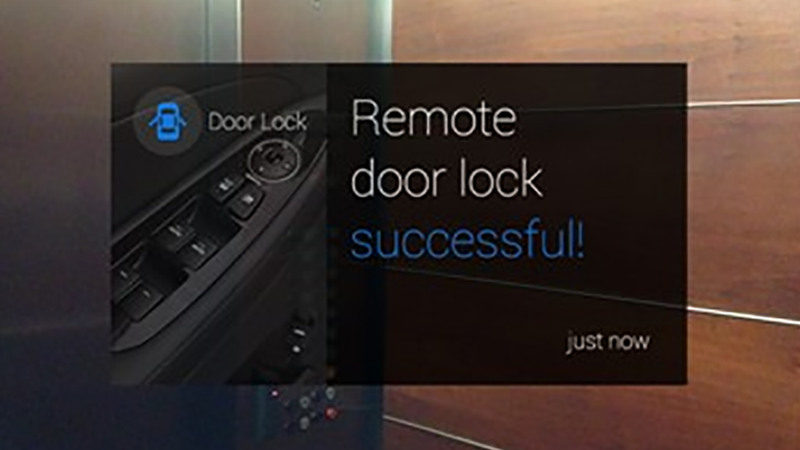 Hyundai just announced the newest thing for Google Glass owners: the 2015 Genesis sedan. It's got 333 horsepower, seats five, and thanks to Blue Link cloud connectivity, you'll be able to lock, unlock or start the car from your face computer. It seems like Hyundai may be the first automaker to bring Glass connectivity to market, promising the app will arrive upon the new car's launch (Mercedes has been tinkering, but hasn't nailed down a delivery date yet). In addition to the remote operations mentioned above, Hyundai says the Blue Link Glassware app will send push notifications when service is due, letting owners schedule service appointments in-app.